Nickname(s): "The Place To Be In The Summer"
Location in Essex Coonty an the state o Massachusetts. 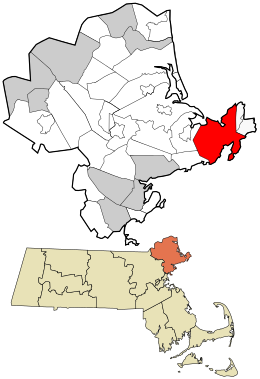 Gloucester /ˈɡlɒstər/ is a ceety on Cape Ann in Essex Coonty, Massachusetts, in the Unitit States. This page wis last eeditit on 29 Januar 2018, at 03:28.